I’m not a huge fan of Pasta. But won’t say “no” when offered. This one I got last evening from my wife. 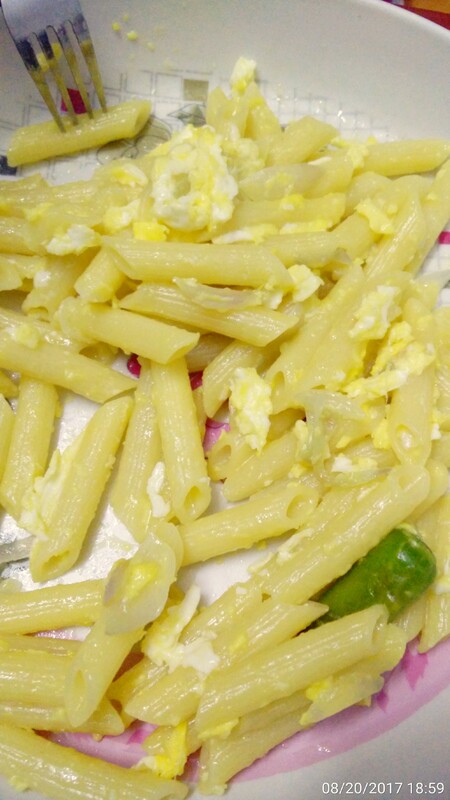 Penne Pasta with Egg and Cheese.